Waterproof Led wall washers for architectural lighting. Available in 1ft, 2ft, 1mtr & 4ft Lenght. Single colour or RGB & RGBW available. 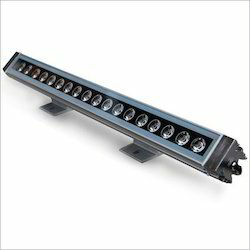 Outdoor Led Wall Washer available 1ft, 2ft, 1mtr and 4ft lenght. Lighting colour can be customized as per requirement. DMX control also available. Looking for Led Wall Washer Lights ?